The elegant two bedroomed apartment is finished to fantastic standard throughout. The property comprised spacious living and dining room, Master bedroom ensuite full bathroom and a guest room and another bathroom. Kitech with modern appliance. All rooms with central heating system. 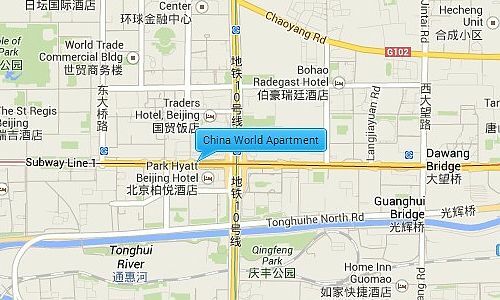 The apartment is arranged on middle floor with balcony with beautiful view of CBD in Beijing. 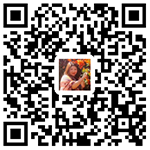 China World Apartment provide house keeping service as well. Please feel free to contact our consultant for more details. China World is located just north of the China World Trade Center where the 3rd Ring Road intersects with Chang’an Avenue. It is within the popular CBD area and surrounded by many facilities including international restaurants, shopping malls, medical centers, schools, bars, and supermarkets. It is also near to the CCTV headquarters building, the popular Sanlitun area, Xiushui silk market.